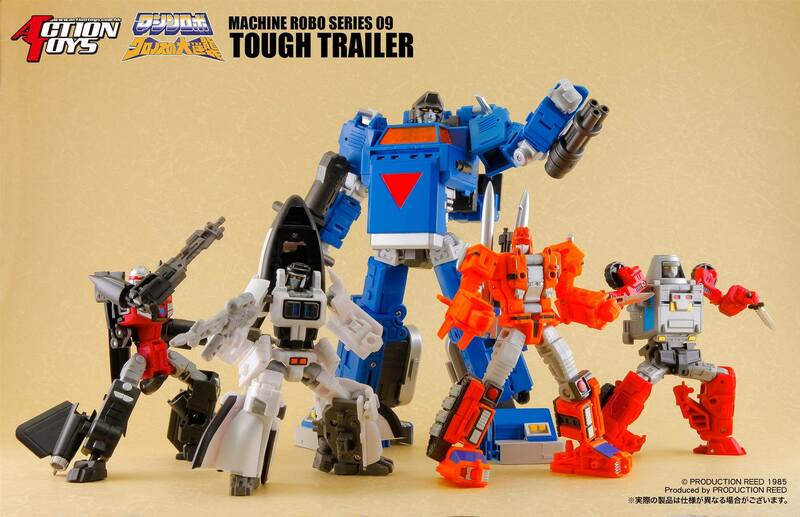 After a fairly lengthy break, Action Toys is back with their next Machine Robo reveal. Their latest update gives us a look at Tough Trailer from Machine Robo: Revenge of Cronos. 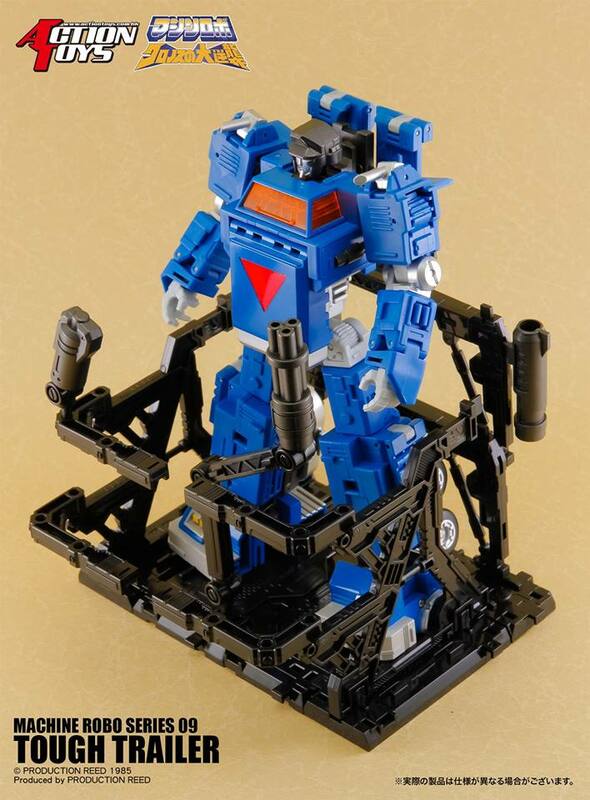 The figure includes a gun accessory and an articulated display stand. No additional details were revealed at this time. Click the headline of the story for the photos. The big boy! 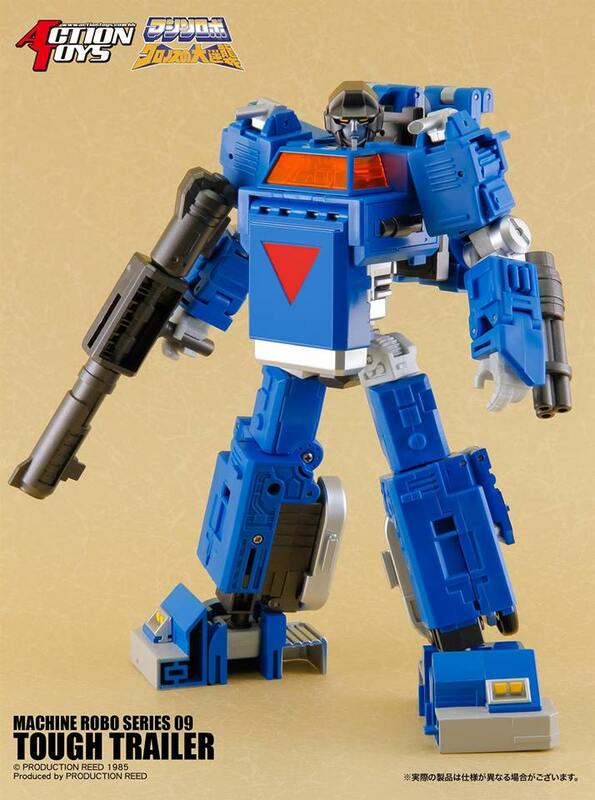 I wish I had more interest in him, but he's not someone that was used in GoBots, so he's off my radar. Not a bad figure, though, from the looks of him. I'm just glad the line's not dead. 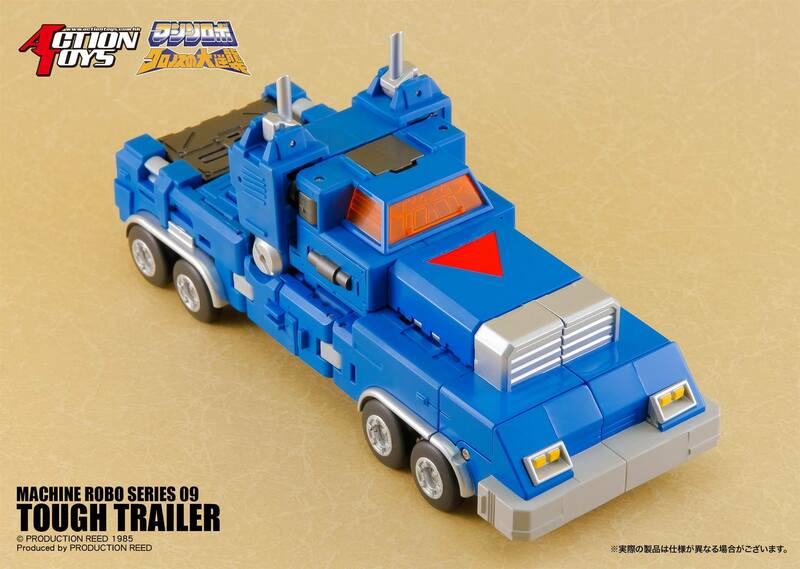 With Supercar Robo/Turbo, Steam Robo/Loco, and Blue Jet/Fitor the next ones on the docket, I'm looking to continue collecting from this line for as long as AT continues releasing it. where the hell is turbo?!?!? been meaning to get the big size cykill, gettin it soon. wheres leader 1? Easy, son. 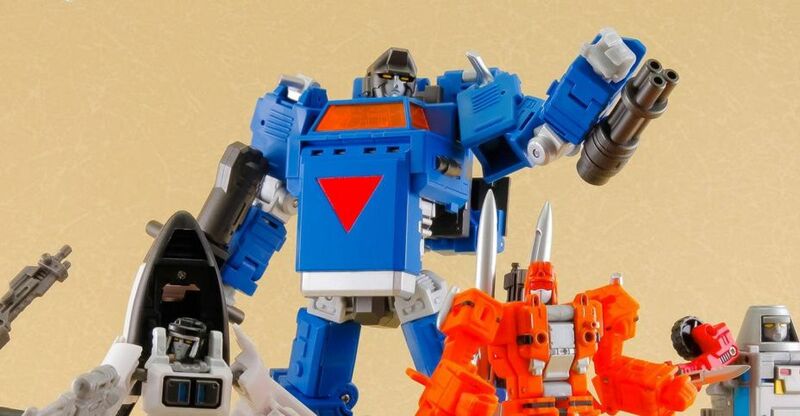 Turbo/Supercar Robo is slated for the next full wave, alongside Fitor/Blue Jet and, hopefully, Loco/Steam Robo. I don't know if Loco will make it, since I think we've only seen grey prototypes of him, but I could be wrong.